Congratulations on your upcoming wedding. This is a very exciting time in your life, yet planning a Wedding of Your Dreams can be a very stressful time as well. 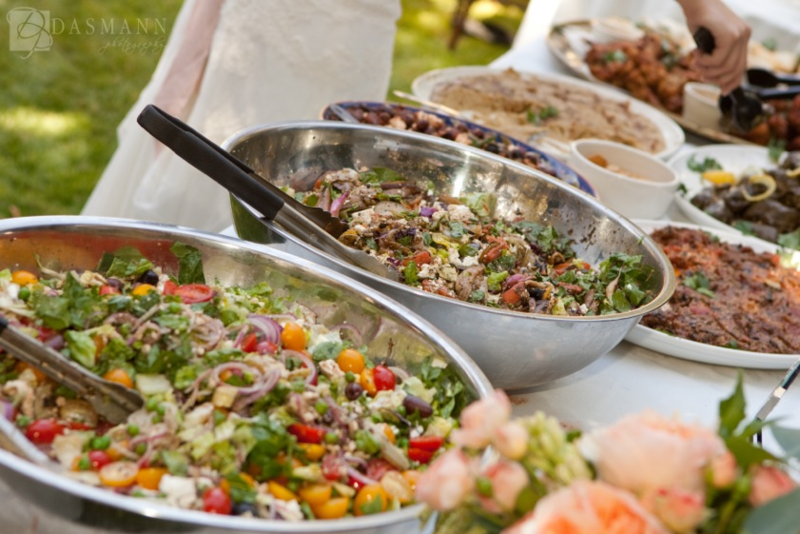 Let Oasis and their professional staff take all the stress of planning your catered event away, whether it’s a catering in San Luis Obispo, or catering in Paso Robles. Our Chef and planner will help you organize the meal for you and your guests. All you have to do is inform the caterer what your ideas are for your wedding. Then the caterer will prepare a tasting for you. 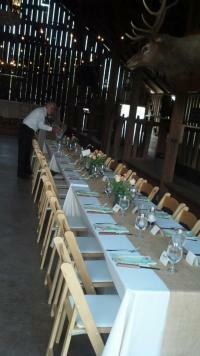 You, then make your selections, and leave the rest to the caterer and their professional staff to do the rest. We want to make your special day truly a magical memory. Elegant or casual, traditional or contemporary, intimate or large, we want to make every moment of your special day come to life. Our pre-selected, stress free Wedding Menu offers our chefs most favorable selections. For a more customized menu you may choose from our Custom Catering Menu, where you can mix and match your menu to suit your individual tastes and budget. We organize events for any celebration. From a personal intimate wedding reception to an elaborate company celebration, Oasis can help you with all your needs for your event. We have the highest standards in dining and exceptional service. We will work with you and your budget to make your event a day or night to remember, whether it’s a San Luis Obispo catering event or a Paso Robles catering event. Oasis offers a Wedding and Reception Catering Menu at a fixed priced per person menu, a Custom Catering Menu that you can mix and match the quantity of each dish you choose, and customize it to fit your needs and budget and a Business Catering Menu designed to suit any corporate or business luncheon. Oasis specializes in traditional home-made Saffron infused creations, Couscous dishes and Moroccan Tagines. We use only local produce grown by Hayashi & Sons of Arroyo Grande, CA. and Paso Almonds from Paso Robles. and a variety of local small growers for that hard to find seasonal fruit or vegetable. Oasis Restaurant & Catering can cater events from intimate dinner parties to large banquets/weddings and everything in between! We create each menu to suit your specific event. We are happy to accommodate vegans, gluten free and any special requests you may have. Simply contact us and we will get you started right away.